﻿ Diana and Friends Experience History Through Music Giveaway — $700+ Value! In honor of the release of Diana Waring’s newest Exploring History Through Music, she and some of her friends have organized this great giveaway that you will not want to miss out on. This new curriculum package will be available for purchase by July 1st. It is a wonderful survey of the early days of American History. The songs of the American Revolution through the Westward Expansion are shared along with the stories that led to them in three individual books that include listening CDs of the songs and sheet music. 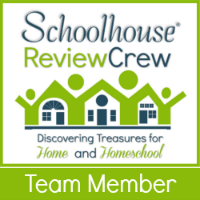 Please stay tuned for our review of these phenomenal resources in the coming days. I could not have come up with a better lead-in to our study of Early American History this Fall with our 10 year old. Experience History Through Music – set of 3 books with CDs ($50/set) Diana Waring Presents is about to bring back into print the BEST folk music you have ever heard, combined with the fascinating stories they represent in American history! The Experience Music Through Historyseries includes: America - Heart of a New Nation, Westward Ho! - Heart of the Old West and Musical Memories of Laura Ingalls Wilder. The musicians are amazing, every instrument is real, lots of great vocalists, and more toe-tapping music than you can imagine! The books tell the stories behind the songs. Together, they bring American history to life through it’s music! !With fascinating history books and toe-tapping folk music CDs, American history has NEVER been this fun!